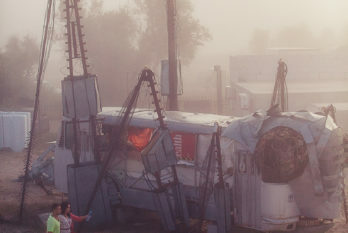 This place – the cradle the trance culture was born in. 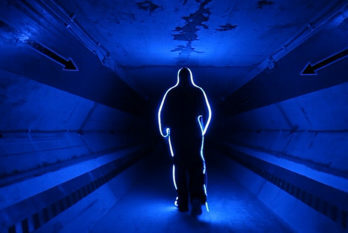 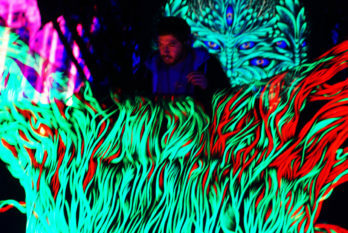 The project designed for an international electronic music festival The Kazantip Republic (Crimea, Ukraine) in 2010. 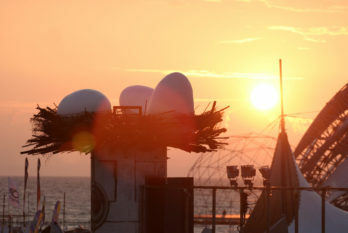 Some incredible Martian creature turned The Rocket into its nest (Kazantip Republic, 2010). 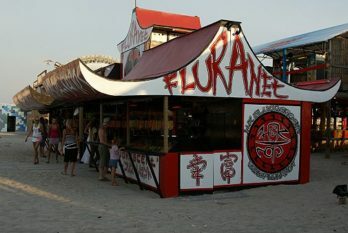 Small but cute Chinese-style Fluranet Shop at The Kazantip Republic 2009. 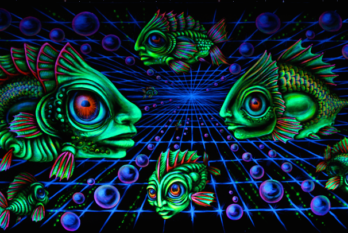 Psychedelic and futuristic 3D murals on supports of the monorail’s at Mars (the Kazantip Republic Festival 2009). 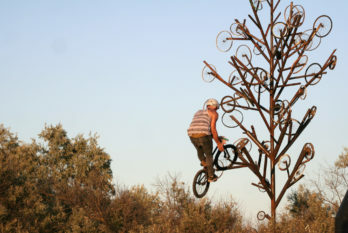 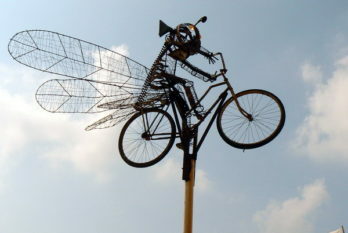 Winged bicycle riders rolling in the sky (The Kazantip Republic 2008). 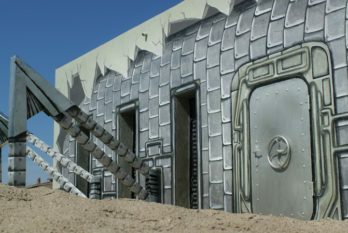 Murals for the wall dividing two parts of the Kazantip Republic’s territory — Mars and Earth. 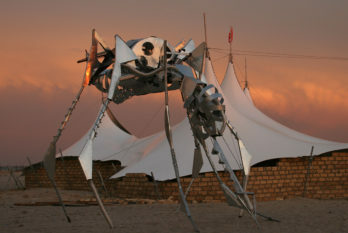 Old Fashioned robots rocking Mars and rolling their bizarre vehicles (Kazantip Republic 2008). 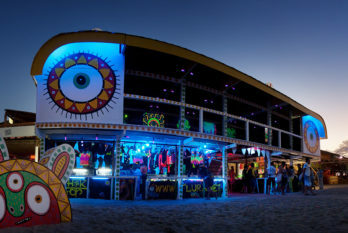 First inhabitants of Mars — the newly opened in 2007 – 2008, expanded territory of The Kazantip Republic festival. 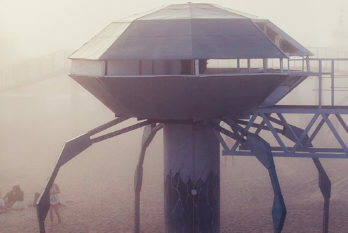 Fluranet’s shop and tea house designed as Spider UFOs at Kazantip Republic 2007 (Crimea, Ukraine). 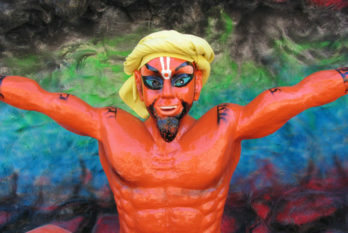 Decoration of the party starring XP Voodoo (2009). 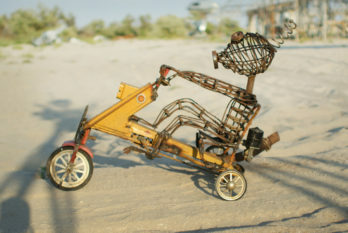 Small beach club-restaurant next to Kazantip Republic festival (2005). 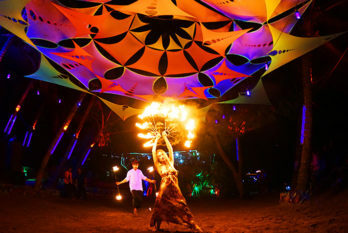 Design of a private open air party hosted by friends. 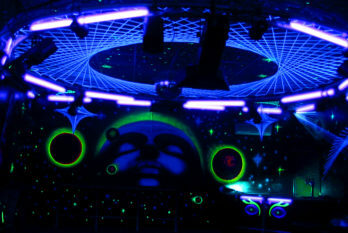 The Kiev club designed by Fluranet Lab in 2004.